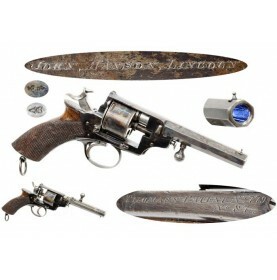 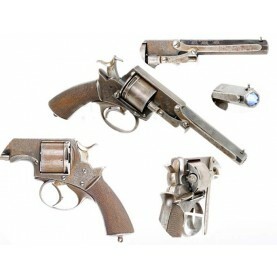 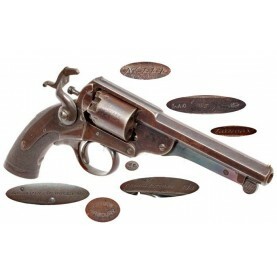 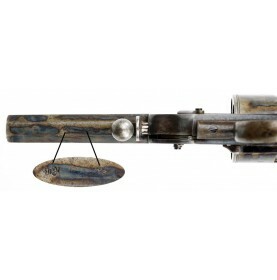 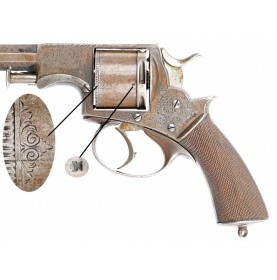 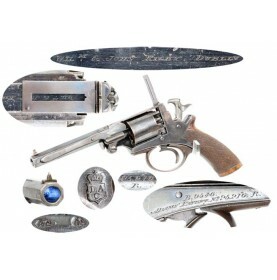 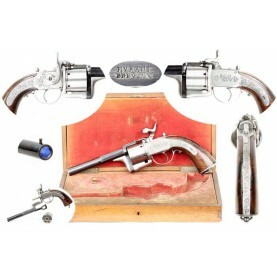 This is a very attractive example of the Beaumont-Adams M-1854 double action revolver with a unique ..
Jean Baptiste Eyraud was a French gunmaker and inventor who worked in the town of St. Etienne in cen..
James Durrell Greene was an innovative and forward-thinking man who had a distinguished career in th.. 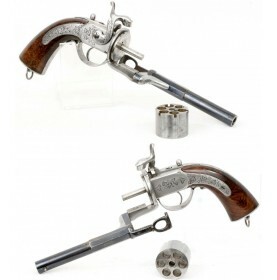 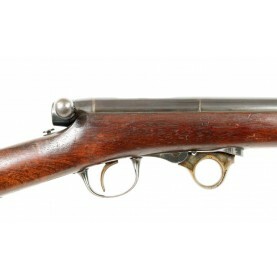 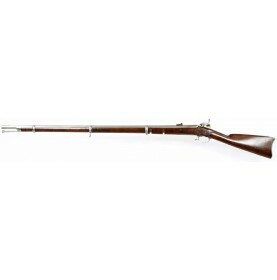 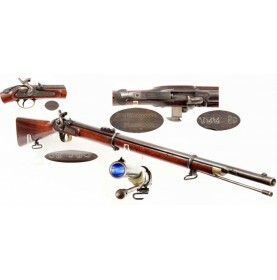 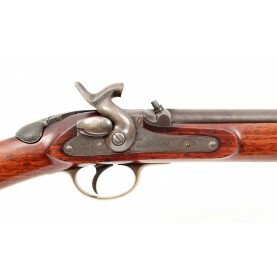 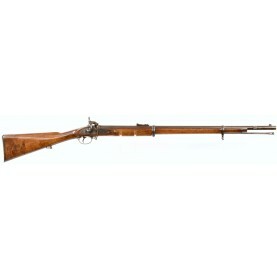 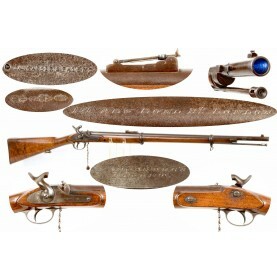 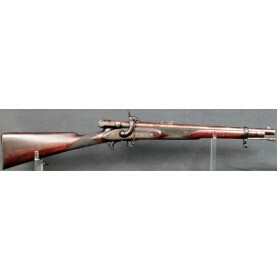 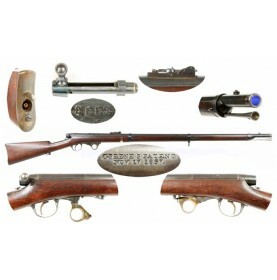 The Terry’s Patent Carbine, as produced by the Birmingham firm of Calisher & Terry was one of the mo.. 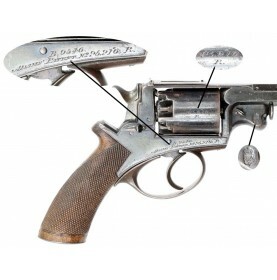 The London Armoury Company Kerr’s Patent Revolver is one of the most distinctive and recognizable of..
One of the more bizarre long arms to be officially adopted by the US Ordnance Department during the ..
With the introduction of successful self-contained metallic cartridges in the mid-19th century, the ..
William Tranter was one of the most prominent Gun, Rifle & Pistol Makers in the Birmingham trade dur.. 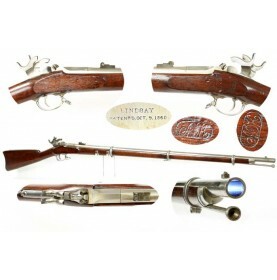 The mid-19th century was a time of great technological achievements and advancements, and new proces..